The quality of the picture is not good, but it is still worth a look as it was an important moment in the recent history of Slaugham church. 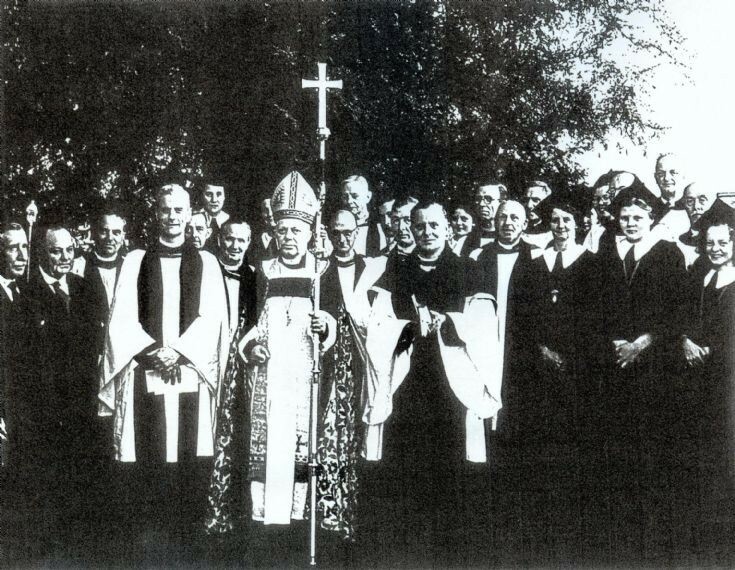 On 1st June, 1951 the Bishop of Chichester, George Bell, visited the church to lead the induction of Rev. Edward Bradbrooke. From the left, second is Ralph Tulley, standing tall is former Olympic high jumper Rev. Edward Bradbrooke, the Bishop of Chichester, and ladies from the church choir, Ethel Jeffery third from right, and Penny Housby second from right. Please can you name any others?